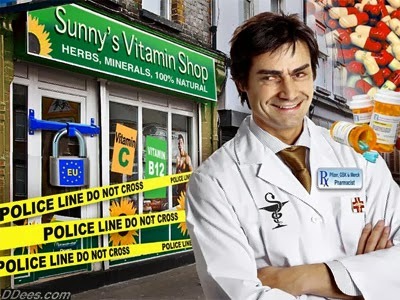 In a recent anti-supplement propaganda article by NPR entitled “The Case Against Multi-Vitamins Grows Stronger,” the notorious “news” agency lavishly reported the alleged findings of “experts” proving that “vitamin supplements don't help most people and can actually cause diseases that people are taking them to prevent, like cancer.” Immediately, the entire mainstream media machine jumped into action promoting the statements of the “experts” and claiming that the case is now closed regarding the effectiveness and safety of nutritional supplements. Typically, Big Pharma mouthpieces such as NBC and CBS followed suit in repeating the same talking points. Of course, what NPR, its fellow media outlets, and the authors of the editorial published in the Annals of Internal Medicine actually demonstrated was that the case against the mainstream media and Big Pharma funded science is growing stronger. This is because the cleverly worded editorial and the lapdog media repetition of these carefully crafted statements is nothing more than the annual attempt to demonize natural food supplements, organic food, and individuals who refuse to take toxic vaccines over hyped diseases. Yet, before those who may be susceptible to trendy writing forms and flashy television presentations give in to the claims made by mainstream outlets, it is important to understand the fundamental flaws of both the reports being circulated to date as well as the editorial and studies being cited.